MA Long is aiming to defend his World Men's Singles title this April in Budapest, Hungary. With less than six weeks remaining until table tennis’ biggest event of the year kicks off, today the player entry lists are confirmed for the Liebherr 2019 ITTF World Table Tennis Championships, to be held between 21-28 April in Budapest, Hungary. This year’s event will see record numbers of participation: the 609 players representing 109 National Associations mark an increase on previous record figures posted at the last individual World Table Tennis Championships held in Dusseldorf, Germany in 2017. This growth forms a positive step ahead of the ITTF introducing an expanded World Championships format in 2021, which aims to increase National Association participation of 47% closer to 100% global representation as more players will have a greater opportunity to take part thanks to the new World Championship stages. Following their triumphs in China’s qualification tournament, the ‘Marvellous 12’, FAN Zhendong and CHEN Meng made sure of their places in China’s Men’s and Women’s Singles categories respectively. FAN, the men’s world no. 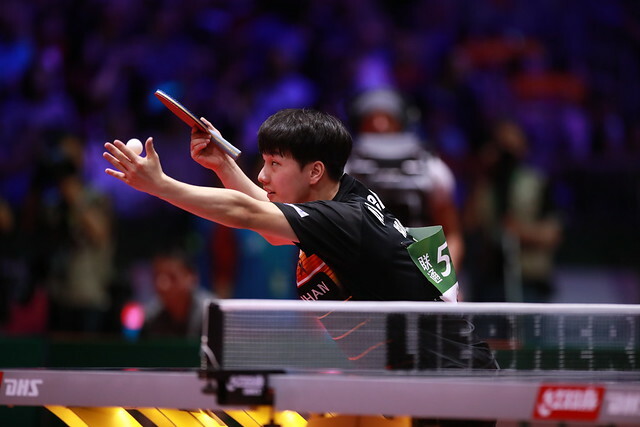 1, will be joined in Budapest by reigning world champion, MA Long, while three more of the nation’s highest ranked players, XU Xin, LIN Gaoyuan and LIANG Jingkun, complete the quintet in the Men’s Singles category. WANG Chuqin, meanwhile, will compete in the Men’s Doubles alongside MA Long. Taking part in the Women’s Singles are reigning world champion and world no. 1, DING Ning, alongside CHEN Meng, LIU Shiwen, WANG Manyu and SUN Yingsha. Having finished second at the Marvellous 12, SUN is very much a player in form and selectors of the Chinese Table Tennis Association have preferred her to world no. 2, ZHU Yuling, who finished joint fifth at the Marvellous 12. ZHU is however confirmed for the Women’s Doubles. Jun MIZUTANI and Mima ITO secured their selection for this year’s World Championships as a result of winning the Men’s and Women’s Singles titles respectively at Japan’s National Championships this January. Tomokazu HARIMOTO and Koki NIWA, alongside Kasumi ISHIKAWA and Miu HIRANO gained their places by virtue of their world ranking. Meanwhile, Masataka MORIZONO and Miyu KATO sealed their spots in Budapest by emerging successful in last week’s qualification tournament, leaving Hitomi SATO and Kazuhiro YOSHIMURA as the coaches’ selections. Thirty-eight years old last Friday, world no. 5, Timo BOLL (GER) will be making his 19thWorld Championships career appearance in Budapest. Germany’s Men’s Singles quintet of BOLL, Dimitrij OVTCHAROV, Patrick FRANZISKA, Ricardo WALTHER and Ruwen FILUS are chasing the nation’s first ever Singles title at a World Championships. This will be the 23rd World Championships for Vladimir SAMSONOV (BLR) – a record among current players. Meanwhile, the likes of Liam PITCHFORD (ENG), Marcos FREITAS (POR), Jonathan GROTH (DEN), Mattias FALCK, Kristian KARLSSON (SWE), Simon GAUZY (FRA) and Daniel HABESOHN (AUT) will all be looking to make their mark in the Hungarian capital. In the Women’s competition, Bernadette SZOCS, Elizabeta SAMARA (ROU), Sofia POLCANOVA (AUT), Petrissa SOLJA (GER), LI Jie, Britt EERLAND (NED), Matilda EKHOLM (SWE) and the host nation’s Georgina POTA (HUN) represent some of the bigger European names taking part. After a meteoric rise over the last 12 months, world no. 6, Hugo CALDERANO (BRA) will have his sights set on a successful World Championships. The 2018 Pan American Cup champion heads up a list of exciting talent from the region, including Kanak JHA, WU Yue, Lily ZHANG (USA) and Adriana DIAZ (PUR). Quadri ARUNA (NGR), ranked 25th in the world, represents Africa’s big hope in the Men’s Singles, with Dina MESHREF (EGY) the continent’s biggest name in the Women’s Singles. ARUNA’s compatriot Segun TORIOLA, at 44 years old, is getting ready for his 21st World Championships. His first ever appearance at the event came back in 1991. 2018 ITTF Breakthrough Star, Manika BATRA, and Sathiyan GNANASEKARAN will be flying the flag for India, as the nation’s best players look to build upon last year’s Commonwealth Games triumph. Korea Republic boasts a typically strong selection, including LEE Sangsu, JANG Woojin and JEOUNG Youngsik in the Men’s Singles competition, while SUH Hyowon, JEON Jihee and YOO Eunchong lead the way in the Women’s Singles. From Oceania, there will be Melissa TAPPER (AUS), who in 2016 became the first ever Australian athlete to represent her country at both the Olympic and Paralympic Games. WONG Chun Ting (HKG) in the Men’s Singles competition and CHENG I-Ching (TPE) and FENG Tianwei (SGP) in the Women’s Singles, are the remaining players – currently ranked in the top 10 in the world – set to compete in Budapest. Note: National Associations have until 18 April to make modifications in accordance with ITTF regulations.